Live, Full Orchestra and Chorus, Recorded in Multi-Layer. 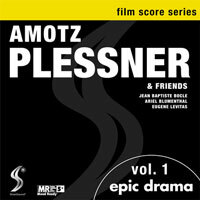 Big and dramatic- cues for scoring scenes of panoramic action and emotion. The versatility of these tracks is unmatched when you customize your own music mixes with Mood Mapping: Truly an album that underscores SmartSound's commitment to deliver the highest quality music.